Our purpose in organizing this Colloquium is threefold: to mark the unveiling of the forward-looking improvements to the science center; to bring together the community of learners at St. Francis College; to demonstrate how science and philosophy (or science and other disciplines) work together. We envisioned a small Colloquium with faculty members sharing ideas with a much larger audience on the themes and subjects outlined below (and issued a Call, May 2011). We encouraged faculty with a focus in science to read philosophy, and faculty with a focus in philosophy to read science (using some of the guides we provided here). The focus of the colloquium is the notion of moral sense, which has been variously defined, by philosophers and scientists (from the seventeenth century up to the present) as an approval faculty, or conscience, or sympathy, or compassion, or as an instinctual social emotion. In Darwin’s century, while Herbert Spencer and T.H. Huxley famously defended Darwin’s ideas, they also confounded his notion of morality by pitting it against nature. After Darwin, prominent biologists of the twentieth century have tackled the question of why cooperation extends beyond kin: R. Haldane (in 1932) uses the term altruism; in the 1960s W.D Hamilton addresses the evolution of social behavior, and George C. Williams writes of social donors; by 1971 R.L. Trivers pens his famous article on the evolution of reciprocal altruism. Since then there has been a steady flow of articles and books (popular and academic) on what it means to be moral (and from whence such behavior arose). What follows are some thought-provoking questions and background information that stimulated ideas for the Colloquium. Do we have an inherited (evolutionary, adapted) moral sense? How are emotions related to morality? Is there a biological explanation for morality? In what way do disciplines outside of biology and philosophy (e.g., pyschology, sociology, economics) help explain the various loci of moral decision making? How (according to developmental psychologist Paul Bloom) do we reconcile humanist values with a mechanistic explanation of the brain? These important questions (and certainly others by implication) bring together philosophy, psychology, and especially biology. Philosophers (mostly British) of primarily the eighteenth century (in reaction to a number of complex events – religious, social, and scientific – of the seventeenth century), developed a notion of the moral sense. These philosophers, working in an increasingly secular age, posited very strongly that any human goodness was not bestowed from a divinity but was driven by innate human feelings of benevolence or sympathy. Marc Hauser, as a Harvard research psychologist (as well as others, notably Joshua Greene), has written extensively about this very issue: from an evolutionary and biological perspective, we do in fact have a so-called moral sense. Taking the lead from the British Moralists, Darwin, in The Descent of Man, has a chapter on moral faculties and employs the term moral sense. There is a rich history of philosophy that focuses on morality and ethics; now, science is helping us understand much better those concerns (and the connections of ancient, human caring to morality). Paul Ekman (a psychologist of emotions) helps us understand social-moral decision making in terms of our individual biological construction. Neuroscientists (such as Michael Gazzaniga and Antonio Damasio), biologists (such as Richard Dawkins and Daniel Dennett), as well as, for instance, a psychiatric lawyer (Laurence Tancredi) have written on these controversial topics – i.e., the connection between the biology of the brain and moral decisions or moral behavior. While eminent primatologist Frans de Waal has consistently insisted on the continuities (in evolutionary terms) of sociality and cooperative behavior between primates and human beings, he has had many detractors (such the noted developmental psychologist Jerome Kagan, who stresses the biology of morality but aims for something distinctive in being human). Philosopher Martha C. Nussbaum, in her book Poetic Justice (and even in The Fragility of Goodness), suggests (contrary to Plato and more to Aristotle), that the emotions (over and above reason) have the potential to be good, moral guides. In fact, the evolutionary psychologist Leda Cosmides and anthropologist John Tooby have strongly suggested that reason is an evolved instinct. Meanwhile, philosophers such as Antony Flew and Alvin Plantinga have argued (against naturalism) that there is a rational basis for theism. There is no better time than now, and no better place than St. Francis College, to enter into and engage in this conversation. Pairings of biology and philosophy on this subject that come to mind include, notably, the team of scientist Maxwell Bennett and the philosopher Peter Hacker. The philosopher John Searle is a noted materialist and Darwinian. What is happening in other disciplines? There is: evolutionary psychology; the biology of emotions; neuro-philosophy (recent work by Patricia Churchland). In literary studies, Suzanne Keen has used science to focus on emotions and empathy; Joseph Carroll has single-handedly, beginning in the early 1990s, started literary Darwinism. What happens to us - biologically - when confronted by a moral dilemma? What role does the brain play - in its various parallel parts - in helping make a moral decision? What do disciplines (other than philosophy and biology, though drawing from them) tell us about moral decision making? How do individual differences - biologically and environmentally - account for moral decisons? Dr. Kristy Biolsi (Psychology): What Does it Mean to be a Moral Animal? Dr. Kathleen Nolan (Biology): Altruism, selfishness and spite – and the costs and benefits of each. Dr. Irina Ellison (Biology): The changing pulls of biology and morality in the formation of life. Dr. Sophie Berman (Philosophy): “Science sans conscience n’est que ruine de l’âme” (“Science without conscience is but ruin of the soul”). 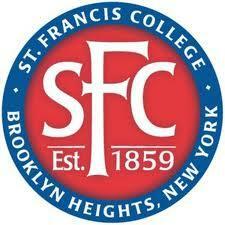 Provost and Vice President for Academic Affairs, St. Francis College. Colloquium Organizer (and contact): Gregory F. Tague, Ph.D.